Nevertheless, I advice you to be careful with identifying as "nation" your new society of space people. With terrestrial cult of nation you may bring into space our domestic greed and aggression, deceptions, geopolitical squabbles, poverty, elitism and wars. 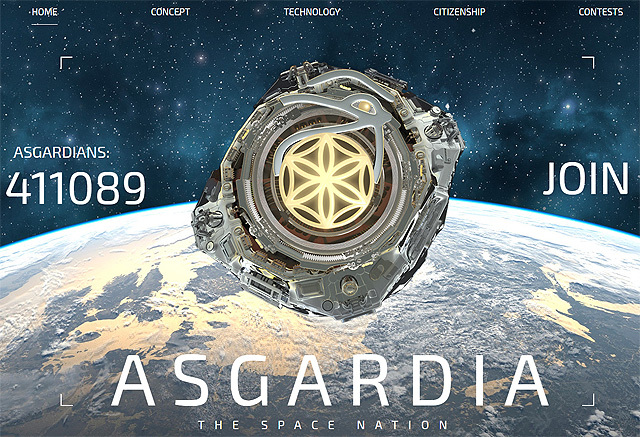 I beware that you wish to prolong that archaic junk into future because Asgardia brand designed by you is quite similar to Sith Empire coat of arms at Star Wars commercial cult. I think that humanity in developing of universal freedom will overcome archaic bindings to nation's cult in future. That's why I propose to all people and also propose to you dialogue and interaction based on social doctrine of total personal autonomy. There are also projects of Open Religion and Autonomous Advocacy to establish reality of personal autonomy. Open Religion or Religious Faith in the Supreme Value of Human is the eternal religion and the modern spiritual movement of creating the God by self-believing, self-trueness and self-ownership of every mind of Universe considered as human soul in the center of all fullness of being. Considering God as human continuation to infinity, we understand the greatest value of human as sacred unity of the human and the eternal universe. Religious studies characterize our religion as "a kind of religious pacifism" because of our tradition of good-will-based respectful comparing all religions and philosophies in the world. The establishment of law has a place on the basis of freedom and, according to my research in the field of law, has three stages: free exercise of freedoms to make traditions in optimizing responsibility; free exercise of traditions and make laws in optimizing alternatives; free exercise of laws and make innovations (revolutions, discoveries) in optimizing reforms of legislation. Laws and traditions can't be used to oppress freedom because such attempts cause rebellions. The ability of entities to live by their own rules called autonomy, that word in Greek means "own law". Autonomy is freedom, but isn't iniquity, because autonomous entity in communication, in desire of peace and accordance establishing its own laws of existence, its rules of wise use of the freedom to live in harmony with nature and all society, created by the entity in interaction with the Universe. When the entities facing evil and can't enjoy their natural freedoms, they provoke (call for help) and Universe send advocates to that entities. So, we create NGO "Autonomous Advocacy" helping every entity to be free. Our aim is to implement and protect natural human rights and freedoms in association of called for help independent experienced autonomous advocates and provocateurs who call for help. Short name of Autonomous Advocacy is A=A, the law of identity. Our motto is AD VOCO PRO SUI IURIS, which in Latin means "to call for own right". We realize natural law of Provocatio ad populum, which means freedom of speech to demand justice and freedom of association to create fair laws and legal relations.